Summer is always a special time of year at Partridges, and this year is no exception. The first rays of sunshine in May coincided with the launch of our very special Partridges Chelsea Flower Gin! Made using 19 botanicals, our gin includes the subtle flavour of rose, and was appropriately released during the same month as the RHS Chelsea Flower Show, which takes place just a stone’s throw away from our flagship Partridges store. 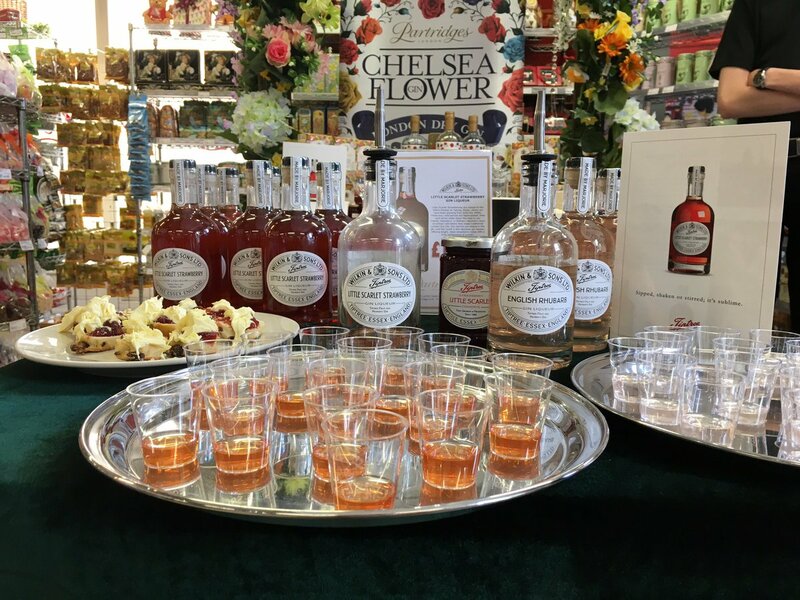 To learn more about our Chelsea Flower Gin or purchase your own bottle, please click here. Chelsea Flower Gin arrived just in time for World Gin Day on 10th June, and as the UK basked in glorious sunshine for much of the month, it was the perfect time to enjoy a cold G&T or two! Did you know that 21st June was not only the Summer Solstice, but also the hottest June day recorded in London for over 40 years. Follow us on Twitter to stay up to date with all our in-store tastings. The days before 4th July are busy in store with our American customers, looking to stock up on last minute Independence Day treats. Don’t forget that your favourite American foods are available online throughout the year! We’ve revamped our site to make it quicker and easier for you to shop online. There are now even more exciting products available from across the globe, as well as an impressive selection of American treats, and of course our very own range of teas, preserves, biscuits etc. Please take a few moments to register with us. Creating an account will make shopping with us quicker and easier. You can also be kept up to date with all the latest news, be the first to know about upcoming events and promotions, and have the opportunity to receive exclusive discount code vouchers. We want to make your experience as easy as possible. If you have any problems, please refer to the FAQ’s or contact us with any queries.